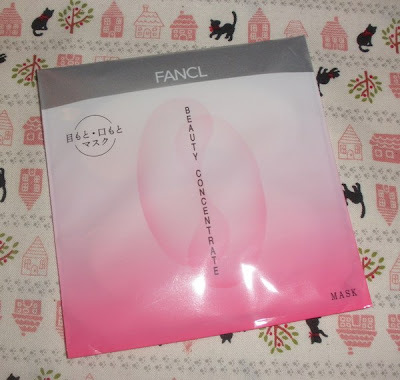 The sheet masks from FancL tend to be expensive but of excellent quality, my most favorite mask is from FancL (Moist Vital Mask), but I don´t often buy it as it´s really pricey/piece. The masks come in a plastic pack and in a small container so that they dont loose their shape during transit. 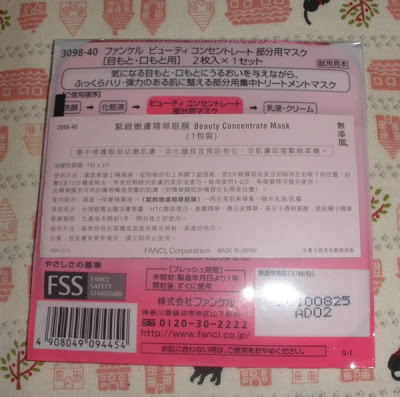 Each mask is heavily saturated with a white milky lotion and is made of a super silky thicker cloth-like material. 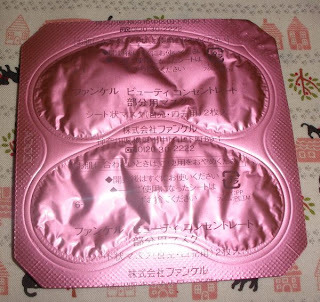 As I already expected these masks are fantastic, they make my undereye area super soft and silky, I can still feel the moisturizing effect a day later and fine lines caused by skin dryness are pretty much erased using these masks. Just stick to the skin below your eyes, leave on for about 10 minutes (I left them for a good 30 mins), pat in the remaining beauty liquid, don´t wash off. 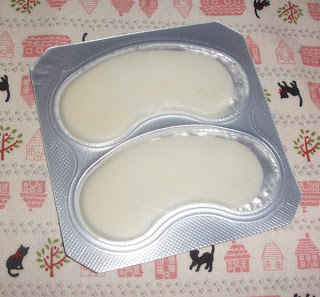 These are unscented and didn´t irritate my skin at all. These sounds wonderful! 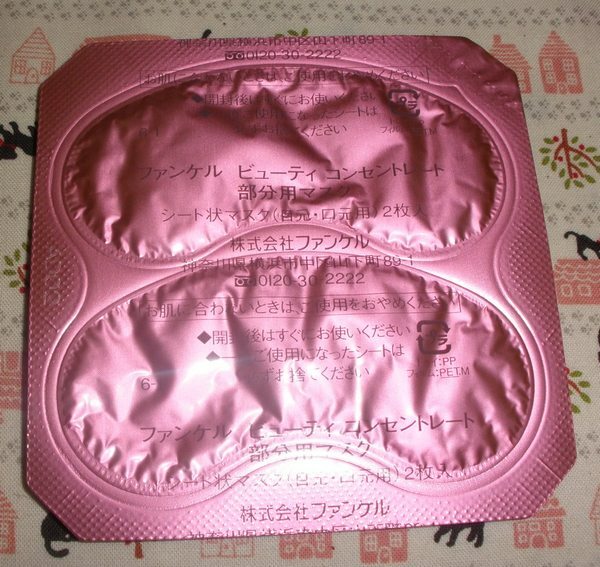 I actually have never tried an eye mask so now I'm really wanting to try it. I must track down this mask!